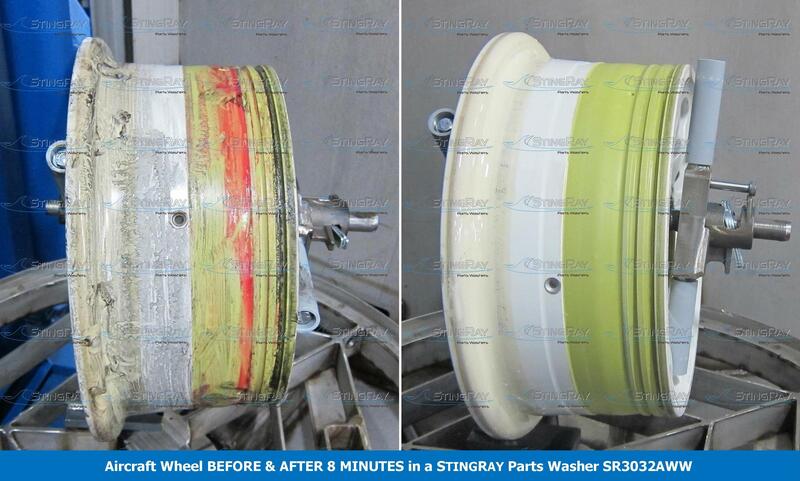 StingRay Aircraft Wheel Washers are specifically designed to remove the rubber bead, bearing grease, and carbon from wheels utilizing only the washer’s power density and the power wash process. There are no brushes or other mechanical means used in the process that can wear out and require periodic maintenance or damage the wheels. StingRay's Engineered Aircraft Wheel fixtures allow quick loading of wheel halves positioning them for optimum cleaning while protecting them from damage. StingRay Aircraft Wheel Washers are proven in numerous applications at users such as American Airlines, Goodrich Aerospace, Aviall Aviation, Delta Airlines, Hope Aerospace, Meggitt Aircraft Braking Systems, China Airlines and Air Canada just to name a few. StingRay's Aircraft Wheel Washers meet commercial airline specifications for aircraft wheel washing preparing wheels for inspection prior to rebuild. Our StingRay 6036 aircraft wheel washer processes 4 wheel halves per wash cycle for a total of 96 halves per 8 hour shift. (The smaller SR4036 washer does half the number of wheels) The most popular systems are batch and include stainless steel cabinet construction with 70 horsepower stainless steel equipped pumps. The StingRay Power Wash process utilizes the hydraulic force of impact pressure through an oscillating power wash manifold that blasts the wheels at multiple angles of impact while the non-synchronous turntable rotates during a wash cycle to fully remove the rubber bead and carbon dust. A fresh water rinse and automatic steam exhaust with flash drying complete the aircraft wheel cleaning. Automatic water fill, pump amp meter and oil skimmer complete the standard machine configuration. Optional features include cabinet thermal and noise control insulation. Wheel fixtures fit all commercial and military wheel sizes. StingRay offers Aircraft Wheel Washers sized for your production output. In early 2001, StingRay engineers teamed up with a leader in the airlines industry to conduct a Research and Development project for cleaning Aircraft Wheels, Brakes and Bearings. After 12 months of studying the application and the industry requirements our team developed the Aircraft Wheel Washer and Aircraft Bearing Washer. Other washers clean only one Aircraft wheel half in 30 minutes and are expensive to operate. They required replacement of steel brushes on a monthly basis. The StingRay 6036 Aircraft Wheel Parts Washer cleans 16 wheel halves an hour and utilizes hydraulic impact pressure, heat and the Power Wash process to wash and remove the rubber bead without brushes. Since 2002, one US MRO in particular has washed between 120 and 200 Wheels per day with StingRay Aircraft Wheel Washer technology. 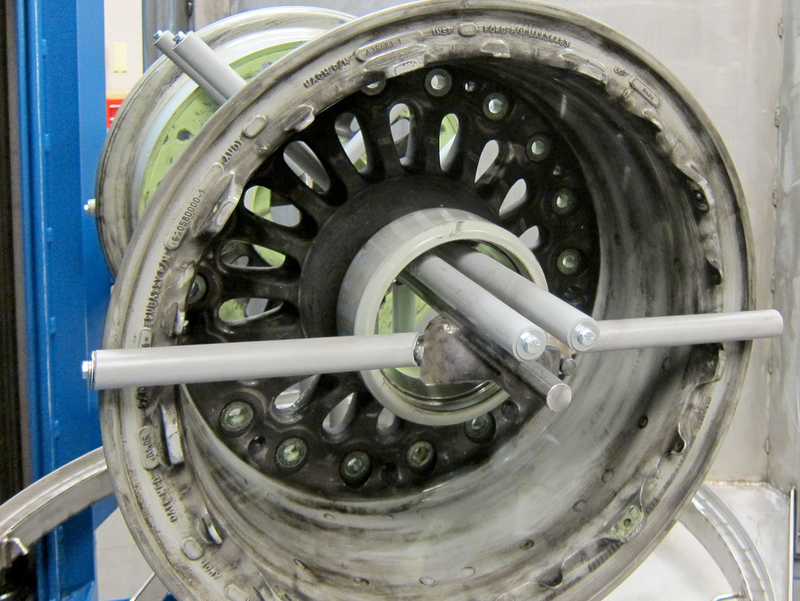 They also perform all of their aircraft brake and bearing cleaning in a parts washer developed by our team. 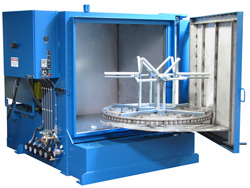 The StingRay 3040 Aircraft Bearing Parts Washer cleans 24 bearings in short 15 minute cycles. The previous methods only washed 2-3 bearings in 15 minutes. 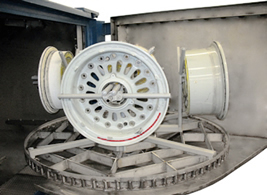 Several US Aircraft Wheel manufacturers use our Aircraft Wheel Washer technology in locations around the world to remove carbon, rubber bead, mastic and silica deposits from Aircraft Wheels without brushes. The wheels are placed on our engineered quick lock & load fixtures and placed in the washer. 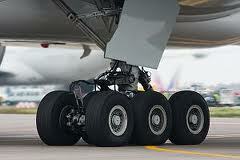 Using a chemical certified by the Aircraft Industry the wheels are thoroughly cleaned in short 15 minute cycles. The StingRay cleaning process safely removes these difficult soils by blasting the wheel surfaces with cleaning solution at high impact pressure and high temperature at a lower capital investment and lower operating/maintenance cost than any wheel cleaning method the manufacturers previously used. In 2010, several US Air Force and Air National Guard bases looked to StingRay and StingRay Tech Services for assistance in resolving their wheel washing issues. Many US Air Force bases are forced to use a lesser parts washer or even manually clean their aircraft wheels due to foaming from the approved detergent and poor performance from the washing equipment. StingRay engineering carefully studied the ongoing issues of the two approved detergents, cleaning process and parts washers used for cleaning. They found that the lack of heat and parts washer power density provided by the existing parts washer along with the lack of proper fixtures for the wheels led to poor cleaning results. The foaming in the parts washer was due to the detergent not being engineered to meet the higher power density and temperatures required for Aircraft Wheel Cleaning. 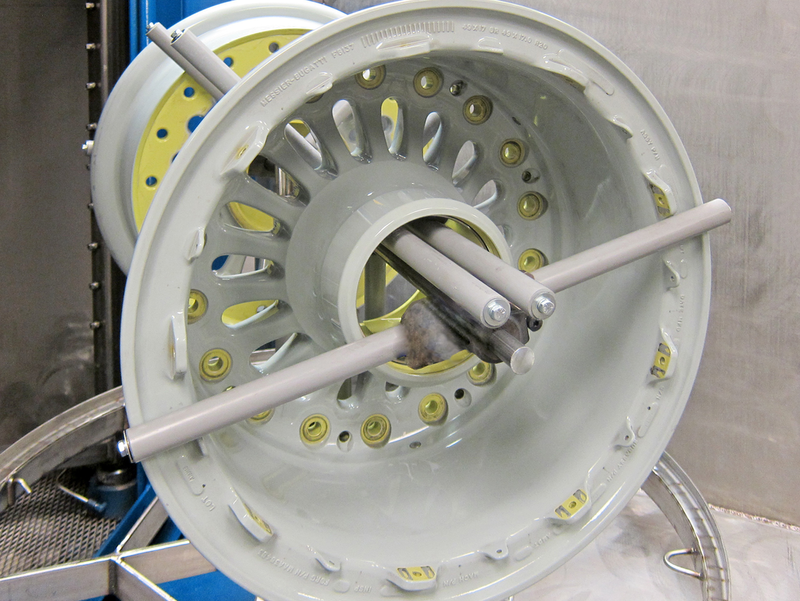 A StingRay Wheel Parts Washer installed at an Air Force base in Kansas is the first to benefit from our improvements. Our engineering and service professionals assisted the base in sourcing, receiving approval and training in use of an industry approved detergent. The combination of StingRay's Aircraft Wheel Washer Technology, our four station aircraft wheel fixture and the newly approved aircraft wheel detergent reduced the cleaning time from one wheel half an hour to four wheel halves every 15 minutes. 2011 Update: A US Air Force base in North Carolina has the newest StingRay wheel washer. The machine is cleaning four wheel halves to military standards in less than 4 minutes. The success of the our Aircraft Wheel Washer technology is proven by leaders in aircraft MRO such as Aviall Aerospace, American Airlines, Goodrich Aerospace, Cargolux, UPS Wheel & Brake, Com Air, Air Canada, Honeywell Aerospace, US Air Force, US Navy, Air National Guard and Gulf Stream at their Repair and Overhaul shops. StingRay doesn't just provide a Part Washer but instead offers the industry a complete cleaning system for Aircraft Wheel Cleaning.